High quality glasswares and disposable pellet pestle with consistent finishing, only from the manufacturing plants entrusted by Kimble Chase in the USA. 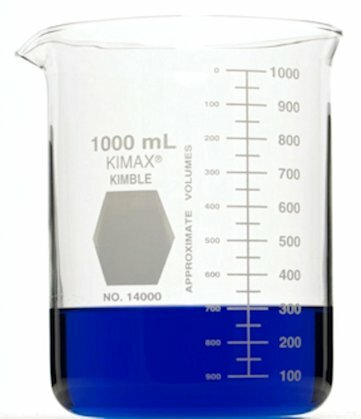 Most of the laboratory protocols have called for special glasswares from Kimble Chase. Copens Scientific is proud to be the sole importer and sole distributor of Kimble Chase, since 3 decades ago. Flex-column 150 x 7 mm dia. KIM-KAP, PP closure, autoclavable, NATURAL, 13 mm dia. KIM-KAP, PP closure, autoclavable, NATURAL, 16 mm dia. KIM-KAP, PP closure, autoclavable, NATURAL, 18 mm dia. KIM-KAP, PP closure, autoclavable, NATURAL, 20 mm dia. KIM-KAP, PP closure, autoclavable, NATURAL, 25 mm dia. KIM-KAP, PP closure, autoclavable, NATURAL, 38 mm dia. KIM-KAP, PP closure, autoclavable, COLOURED, 13 mm dia. KIM-KAP, PP closure, autoclavable, COLOURED, 16 mm dia. KIM-KAP, PP closure, autoclavable, COLOURED, 18 mm dia. KIM-KAP, PP closure, autoclavable, COLOURED, 20 mm dia. KIM-KAP, PP closure, autoclavable, COLOURED, 25 mm dia. Glass rod, KG-33, length 48″ x 5 mm dia. Glass rod, KG-33, length 48″ x 6 mm dia. Glass rod, KG-33, length 48″ x 8 mm dia. Glass rod, KG-33, length 48″ x 9 mm dia. Glass rod, KG-33, length 48″ x 10 mm dia.